Resort has been open for just over one month - how's business? Judging from all the smiling faces seen on the ski slopes at White Pine, business is booming for the newly re-opened resort, and according to Mary and Stewart Thompson that is not a bad bet. The Thompsons both say that the actual number of people skiing at White Pine exceeds their original estimates for the first few weeks, and the number of skiers venturing up Skyline Drive each week-end continues to rise. Thus far, White Pine itself seems to be enjoying a healthy bottom line, but how are other businesses in Pinedale fairing during the "slow" season? For the most part, the businesses on the east-end of Pine Street seem to be benefiting the most from the opening of the ski area.  Trailside manager Marge Westlie said she has seen an increase in business over the last few weeks, although she is not sure whether it is from the school sports crowd or the skiers. Across the street, the gals at Centerfire 66 agree, stating people will stop in to get something to eat or drink on the way up to the mountain, or to help sustain them on the way home after a long day of skiing. They also have a lot of requests for directions to White Pine and the ski shop. The restaurants, especially those that stay open on Sunday for the dinner crowd, are also seeing a padding of their bottom lines. Drew Fanning at the Wrangler says that the ski crowd is keeping the staff there very busy. He says that more people have been hired to help keep up with the work, but he still says the weekends are "back breaking." Kay Buston has also seen an increase in business over and above what she normally has with just the snow machiners in the winter. "You just can't beat it," she says "White Pine is such a benefit to the community and the children. My hat goes off to them." Kathy Almquist at Moose Creek Trading Company says she has had the best winter ever, crediting the skiers and hockey players for her increased customer volume in the evenings. Ms. Almquist, who also runs the food concession at White Pine, has had to hire 3 extra people to help "pick up the slack." One unexpected benefit of the opening of the ski area has been to the towing companies in town. Both Belveals' and Troy Bredthour's towing services have seen a three to four fold increase in business due to the increased use of the historically slippery Skyline Drive. Both companies have been kept busy pulling stranded motorists out of the snow banks on the side of the road during the plowing debacle, but business has slowed down a bit since plowing has resumed. 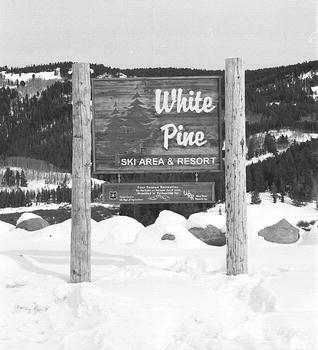 The White Pine Ski Shop and the Pinedale Boardshop are both reporting that business has been brisk during the weekends, with the Boardshop renting out all their snow boards almost every weekend, and the WP Ski Shop seeing a steady stream of customers both buying and renting equipment and accessories. The Stitchn' Post, an embroidery business located in the Cowboy Shop, has had a lot of business come their way directly from White Pine and their embroidered caps and patches. Travis Bing says they are always "calling and wanting more" which has been a huge boon to his business. In addition to the money being spent in Pinedale from out-of-towners, White Pine is also investing in Sublette County, having hired about 17 mostly full time employees. According to Stewart Thompson, they are looking to hire more as soon as possible to round out their ski patrol enough to keep White Pine open 5 days a week, Wednesday through Sunday. 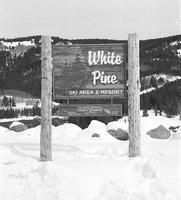 White Pine will be hosting the Pinedale Alpine Ski Meet this weekend for the first time since the mid-80s, bringing skiers and their families from all over the state into Pinedale from Thursday night through Saturday afternoon. In the words of Kay Buston, "this really is a dream come true."